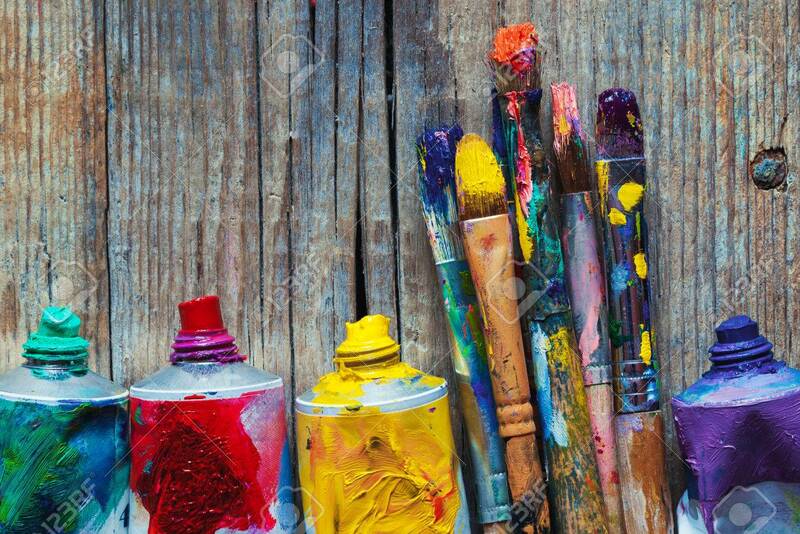 Tubes Of Oil Paint And Artist Paint Brushes Closeup On Wooden.. Stock Photo, Picture And Royalty Free Image. Image 54790259. Stock Photo - Tubes of oil paint and artist paint brushes closeup on wooden background. Retro styled. Tubes of oil paint and artist paint brushes closeup on wooden background. Retro styled.